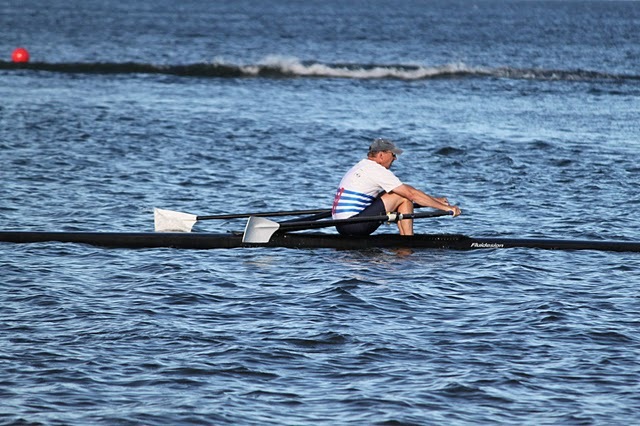 The 108th NWIRA Championship Regatta took place August 19-20 in Duluth, Minnesota. Over 350 athletes representing ten rowing clubs from Canada and the US participated in the various events. On the second day, racing was stopped for a ‘memorial row’ and minute of silence to recognize NWIRA rowers who recently passed away. Winnipeg’s legendary sculler Theo Dubois was among the honoured. A longtime competitor of the NorthWest circuit, from 1931 to 1955 Theo acquired more trophies at the NorthWest Regatta than any other oarsman. Winnipeg rowers Andrew Lamont and Jeff Reitberger took part in the on-the-water procession, rowing in their double to honour Theo. Full regatta results can be found here. This entry was posted in Regattas. Bookmark the permalink.